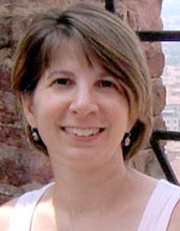 Dr. Stephanie Schlagel, Associate Professor, is a musicologist specializing in the music of Josquin des Prez, the 15th- and 16th-century motet, reception history and historiography. Her articles and reviews have been published in the Journal of Musicology, Tijdschrift van de Koninklijke Vereniging voor Nederlandse Muziekgeschiedenis [TVNM], Notes, and Rivista Italiana di Musicologia. Her editions Ludwig Daser and Matthaeus Le Maistre: Parody Masses on Josquin's Motets from the Bavarian Ducal Court, and Si placet Parts for Motets by Josquin and His Contemporaries appear in the Recent Researches in the Music of the Renaissance series. She has presented her research at national meetings of the American Musicological Society and at the international conference, "New Directions in Josquin Scholarship." She has taught previously at Colorado College and University of North Carolina, Chapel Hill. MA and PhD, University of North Carolina, Chapel Hill, NC. AB, Vassar College, Poughkeepsie, NY. Schlagel, Stephanie P. (2017). (In Press). "Josquin des Prez: Master of Notes". A-R Online Music Anthology. Schlagel, Stephanie P. (2006). "A Credible (Mis)Attribution to Josquin in Hans Ott’s Novum et insigne opus musicum: Contemporary Perceptions, Modern Conceptions, and the Case of Veni sancte Spiritus". Tijdschrift van de Koninkliike Vereniging voor Nederlandse Muziekgeschiedenis, 56 (1), 97. Schlagel, Stephanie P. (2002). “The Liber selectarum cantionum and the ‘German Josquin Renaissance’” . Journal of Musicology, 19 (4), 564. Schlagel, Stephanie P. (In Progress). “Gradatim scandens: The Rise and Fall of the Sequential Ostinato, ca. 1475-ca. 1575”..
Schlagel, Stephanie P. (2016). Masses by Ludwig Daser and Matthaeus Le Maistre: Parody Masses on Josquin&apos;s Motets from the Bavarian Ducal Court of Albrecht V. Middleton, WI: A-R Editions. Schlagel, Stephanie P. (2006). Si placet Parts for Motets by Josquin and His Contemporaries. Middleton, WI: A-R Editions. Schlagel, Stephanie P. (2018). (In Press). "Beyond Foundational Knowledge: Worksheets as Low-Stakes, Formative Assessment in Music History Classes". Norton Guide to Teaching Music History New York: W. W. Norton. Schlagel, Stephanie P. (2012). “Fortune’s Fate: Josquin and the Nürnberg Mass Prints of 1539”. Proceedings of the International Symposium Josquin and the Sublime, Roosevelt Academy, Middelburg, The Netherlands, July 2009 (pp.191-209). Turnhout, Belgium: Brepols. Schlagel, Stephanie P. (2014). “Test Bank Questions for A Concise History of Western Music, 9th Edition (New York: Norton, 2013), Part I (Medieval) and Part II (Renaissance).” . New YorK: W. W. Norton. Schlagel, Stephanie P. (2014). “Test Bank Questions for History of Western Music, 9th Edition (New York: Norton, 2013), Part I (Medieval) and Part II (Renaissance)”. New York: W. W. Norton. Schlagel, Stephanie P. (1994). “Works by James Haar.”. Journal of Musicology, 12, 398. Anne Caufriez (2000). (pp.175). New York: Garland. Schmidt-Beste, Thomas, editor (2015). (Rev. of The Motet around 1500: On the Relationship of Imitation and Text Treatment? ). Notes: The Journal of the Music Library Association. (pp.527)..
Busse Berger, Anna Maria and Jesse Rodin, editors (2015). (Rev. of The Cambridge History of Fifteenth-Century Music). Journal of Musicological Research. (pp.176-178)..
Jesse Rodin (2013). (Rev. of Josquin’s Rome). Renaissance Quarterly. (pp.1398)..
David Fallows (2011). (Rev. of Josquin.). Notes: The Journal of the Music Library Association. (pp.506)..
Honey Meconi (2004). (Rev. of Pierre de la Rue and Musical Life at the Habsburg-Burgundian Court). Notes: The Journal of the Music Library Association. (pp.929)..
Richard Sherr (2002). (Rev. of The Josquin Companion). Notes: The Journal of the Music Library Association. (pp.819)..
Harry B. Lincoln (1994). (Rev. of Indexes to Printed Motet Anthologies: 1500–1600). Rivista Italiana di Musicologia . (pp.246)..
Stephanie Schlagel (05-2010). Ab interitu vindicarem: Isaac and the Music Books of Ott and Petreius International Conference Heinrich Isaac and His World, Indiana University, Bloomington, IN. Stephanie Schlagel Josquin’s Missa L’homme armé super voces musicales and Its Compositional Cousins. Stephanie Schlagel (11-2008). Why Teach Early Music Performance: What’s Our Goal? American Musicological Society Annual Meeting, Nashville, TN. Stephanie Schlagel and Katerina Maýrová (08-2006). Franco-Flemish Composers in the Rokycany Music Collection: An Investigation of the Music from the Oldest Style Layer Musical Culture of the Czech Lands and Central Europe before 1620, Prague, Czech Republic. Stephanie Schlagel (10-2010). Josquin’s Ghost at the Bavarian Ducal Court. Medieval and Renaissance Studies (MARS) Colloquium, Purdue University, Lafayette, IN. Stephanie Schlagel (07-2009). Fortune’s Fate: Josquin and the Nürnberg Mass Prints of 1539. Middelburg, The Netherlands. Other Institution. Level: International. CCM Decanal Travel Grant, University of Cincinnati, 2009. Study tour of the Netherlands and Belgium. Faculty Abroad Grant, University of Cincinnati, 2009. To teach "Music, Art, and Thought in Medici Florence". Faculty Development Council Grant, University of Cincinnati, 2008. For "Study Tour of the Loire Valley". Tangeman Sacred Music Fund Grant, University of Cincinnati, 2008. To present at the Medieval and Renaissance Music Conference, Bangor, Wales, UK. Faculty Abroad Grant, University of Cincinnati, 2007. To teach “Music, Art, and Though in Medici Florence”. Tangeman Sacred Music Foundation Grant, University of Cincinnati, 2006. For the project "Masses by Ludwig Daser and Matthaeus Le Maistre: Parody Masses on Josquin’s Motets from the Bavarian Ducal Court of Albrecht V". Tangeman Sacred Music Fund Grant, University of Cincinnati, 2006. To present at the conference Musical Culture of the Czech Lands and Central Europe before 1620. Faculty Development Council Grant, University of Cincinnati, 2005 to 2006. “Language and Culture Studies in Europe”.